Are you ready to start eating a little healthier? Increasing protein will feed lean muscle and burn extra calories. Who knew eating good could be so good FOR you? 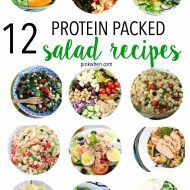 This list of delicious protein packed salad recipes are so good and so good for you. 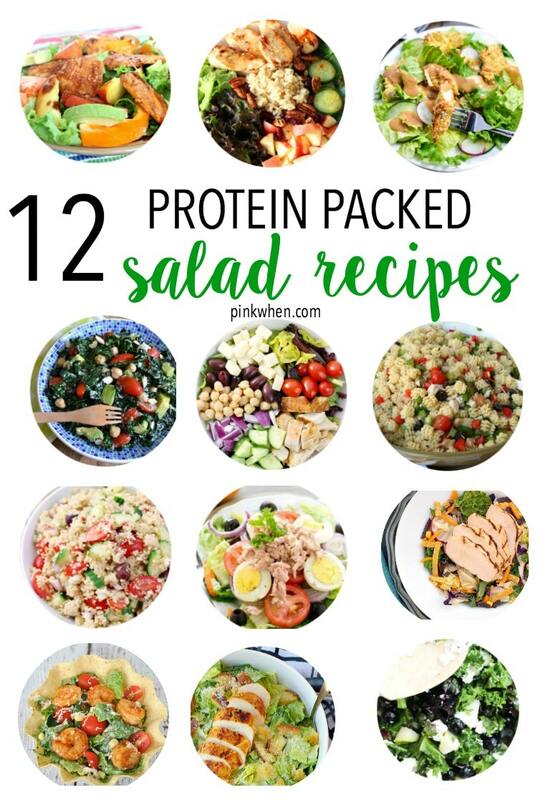 Check out all of these amazing protein-packed salads below. What should I eat high protein salads? The benefits of eating high protein salads are numerous. These low calorie and low carb salads have a lot of protein and will ultimately help with your healthy food journey. High protein also helps you become full faster and reduces the urge to overeat. Did you know that lean muscle needs protein to stay strong? That lean muscle also burns extra calories and can help you lose weight. These protein packed salad recipes are not only good to eat, but they are good FOR you. Check out some of these amazing salads below. We’ve made a list of some of our favorite protein salad recipes that we just know you will love. 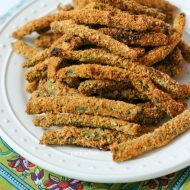 Add them to your list of must-try salad recipes! 1. 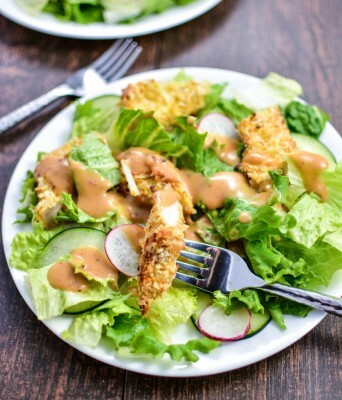 Crispy Coconut Chicken Salad Recipe – The best part of this salad is the delicious and crunchy coconut chicken. It makes eating healthy a breeze. 2. 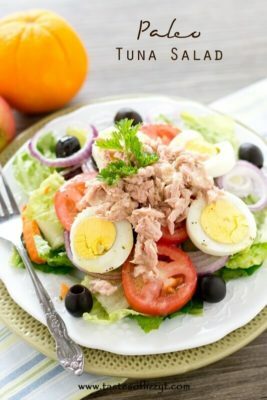 Paleo Tuna Salad – This Paleo Tuna Salad is grain free, gluten free, sugar-free, and dairy free. That’s one way to start off eating healthy! 3. 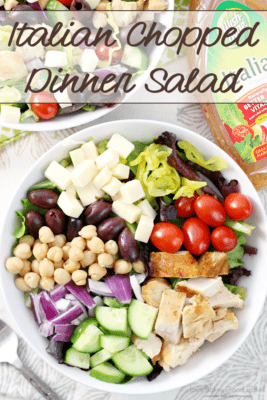 Italian Chopped Dinner Salad – Full of protein and fresh vegetables, even the picky eaters will devour this delicious salad. 4. 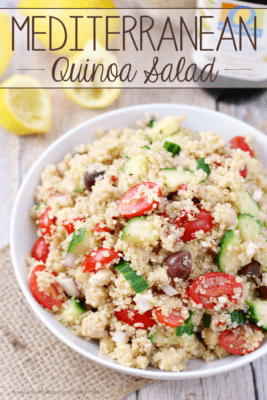 Mediterranean Quinoa Salad – Served with grilled Greek chicken and a small serving of vegetables, this protein-packed salad will be a new favorite the whole family will enjoy. 5. Southwest Superfood Salad with Grilled Citrus Chicken – This chicken is not only grilled, but infused with ornage, lemon, and garlic to make the most amazing citrus chicken salad you will ever have. 6. 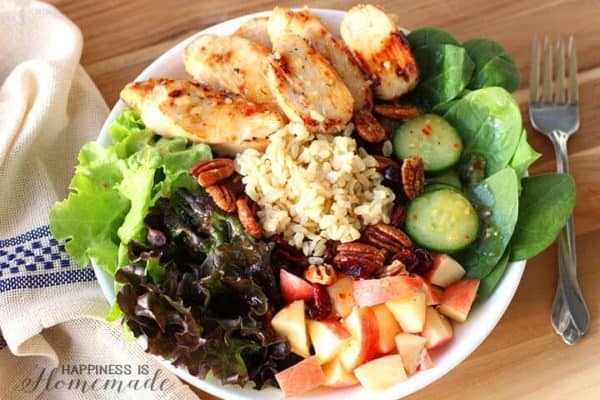 Brown Rice Chicken Salad – Made with apples, cucumbers, cranberries, toasted pecans, and more. 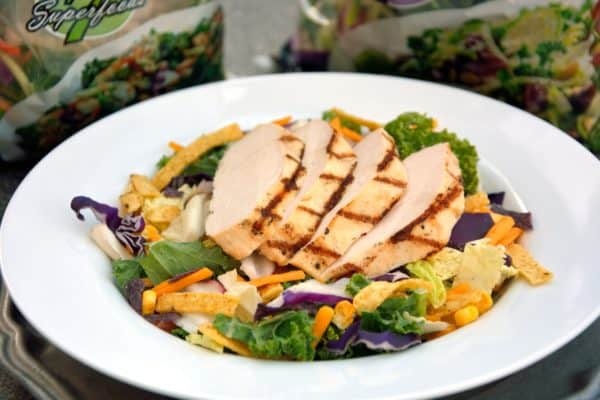 This high protein chicken salad will rock your taste buds and leave you wanting more. 7. 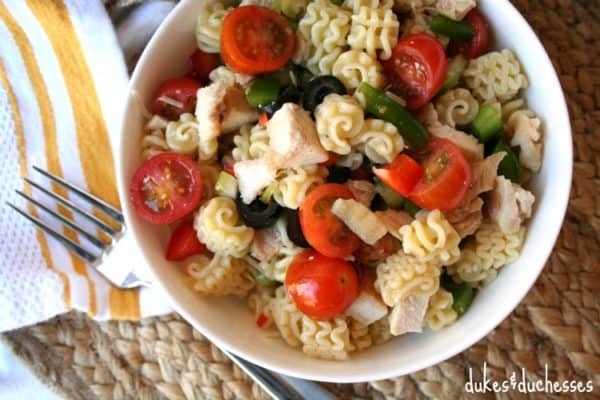 Zesty Chicken Pasta Salad – Made with vegetables, pasta, chicken, and parmesan cheese, you won’t regret making this zesty chicken pasta salad. 8. 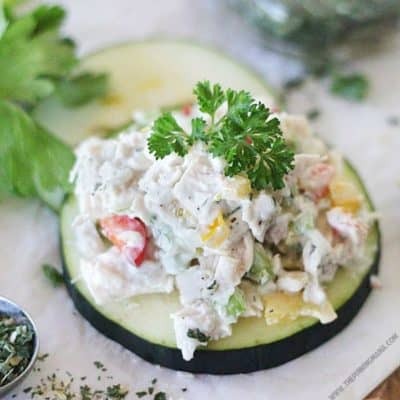 Ranch Chicken Salad Recipe – This delicious, crunchy Chicken Salad Recipe is Whole 30 and Paleo and comes together quickly. Made with celery, bell pepper, onions, chicken, and ranch dressing – it’s packed full of delicious flavors. 9. 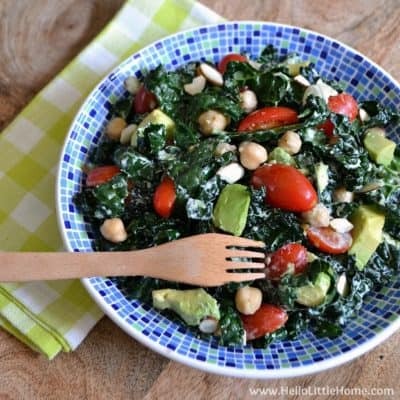 Easy Kale Salad with Lemon Garlic Dressing – Made with greek yogurt, grape tomatoes, avocado, chickpeas, and more. This salad is mouthwatering and easily devoured in minutes. 10. 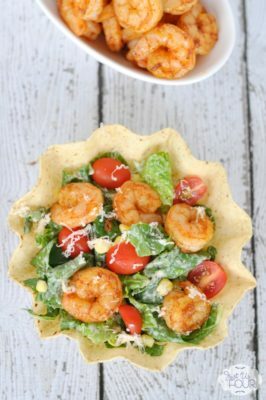 Grilled Chipotle Shrimp Salad – Made with shrimp, romaine, cherry tomatoes, and more. This Grilled Chipotle Shrimp Salad is one of my favorite ways to make a delicious and quick shrimp salad. 11. 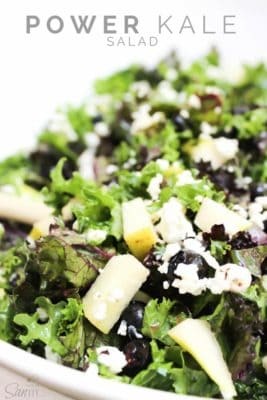 Power Kale Salad – made with Kale, pears, blueberries, and pecans, this healthy salad is almost like eating a crunchy, mouthwatering dessert. 12. 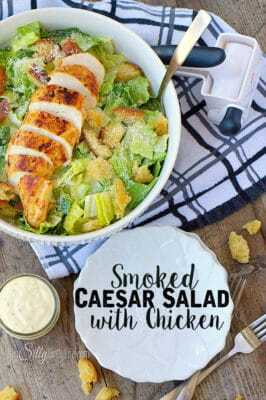 Smoked Caesar Salad with Chicken – This classic smoked caesar salad is amazing, but it’s the dressing that will have you wanting more with this one! What can I eat with a high protein salad? If you are looking for other easy and healthy meals to accompany these delicious salads, you can find a few of them here. I hope you enjoyed this list of protein packed salads. Which one do you want to try first? 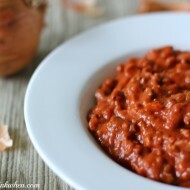 If you are looking for even more great recipes, sign up for our weekly newsletter! « Easy Instant Pot Hawaiian Chicken Recipe – 3 Ingredients! Love this idea!! Thanks for including my salad in this amazing selection!